For all persons requiring minimum knowledge to meet the legal requirements of working at height and basic fall protection techniques. 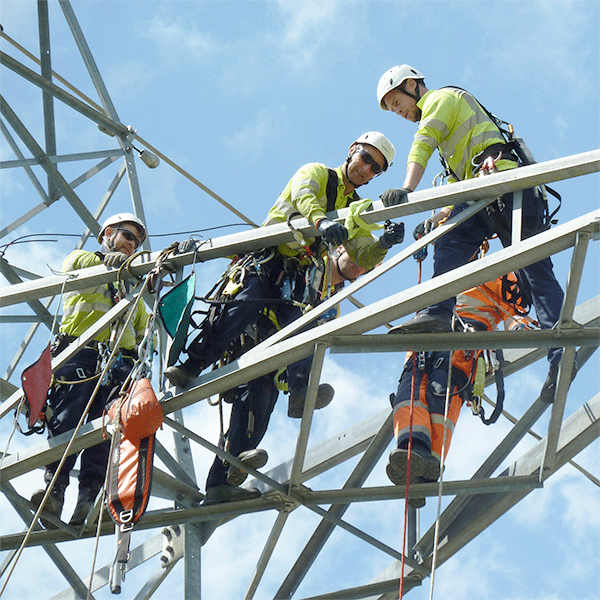 Basic safety harness training course, providing the knowledge required to meet the legal requirements of working at height and basic fall protection techniques. Basic Height Safety and Rescue training course for persons requiring basic knowledge of fall protection systems allowing them to fit and use a fall arrest harness. Provides knowledge required to meet the requirements of working at height and basic fall protection techniques. This height safety training course includes the selection of suitable anchor points, awareness of possible hazards, methods of operation of rope devices and methods of control during lowering or raising of a casualty using the RescuePack system. The course also includes methods of minimising suspension intolerance of casualties and how to handle casualties when they have been recovered to a safe place. On completion of the course, candidates will have gained knowledge on:- methods of fall protection, pre-use equipment checks, fall arrest blocks, suspension intolerance, understanding of the RescuePack and its functions, abrasion and edge hazards, elementary pulley theory, and medical dangers to a suspended person. Practical skills covered include:- fitting a fall arrest safety harness, use of fall arrest lanyards, use of a temporary horizontal line and adjustable restraint system and the attachment, lowering and raising of a casualty. As well as our training venues, this course can be run on client site – please call for details.